In my last article, we talked a great deal about my dying in space, and while I freely admit that I do plenty of that, I’ve had some successes alongside my failures. We’re not going into my minor victories here—they are boring. I’ve played other MMOs and generally, I have a good bit of success making money, and I’ve always heard that money—that is, ISK—drove everything in EVE. 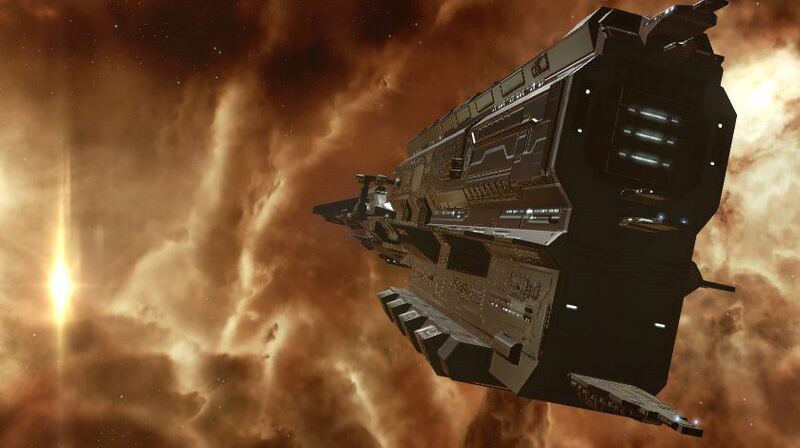 I’ve followed EVE online for most of its lifespan, even if I didn’t play. The genre is one that’s always had my heart, and the idea of an open sandbox, where everything goes, is an enticing one. I tried to get into it a couple of times in the past; it just didn’t work out. 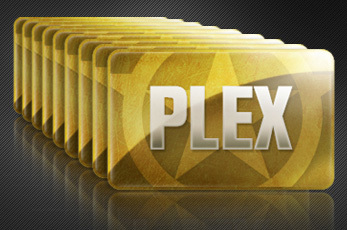 Aside from the game being right up my alley, one of the things that always kept me intrigued was PLEX. To the gaming world outside of EVE, PLEX was originally just a funny news story every now and then. Some guy would be carrying 15 or 20 of them through space, get blown up, and a news outlet would report on hundreds of dollars worth in space-money lost. Occasionally, the equivalent of thousands of dollars of real-world money would be blown up in a battle, and EVE would receive a burst of attention as people paid heed, trying to find out why anyone would spend so much cash on it, just to eventually set on fire. Pieces have fallen into place in just the right way that massive super-battles have broken out in New Eden. A little under a year and a half ago, the Battle of B-R5RB occurred, all because of a missed bill. This mistake ended up destroying over 11 trillion ISK, the game world equivalent of upwards of $300,000 USD at the time. I wasn’t playing EVE then—another MMO that had its hooks in me, but I do remember watching Reddit the entire day it was happening—and through the next day as well—watching videos of titans explode. The mayhem and monetary losses were amazing to me, and all of the spectacle was due to PLEX. Gamers were able to feel the loss of every single titan, because they all had a price tag on them. Every time one was destroyed, its pixels scattered to the ether, someone out there had a bad day to the tune of $2430 USD. Other games have picked up on CCP’s model selling game time with in-game money and vice-versa, but none of the others come with the potential consequences of PLEX. PLEX can make for a very interesting in-game dynamic, and the idea of playing the game “for free” is an obssession for a lot of new players, including myself. A friend of mine brought me into the game, and he helped me along the way. Without him, I probably would have had a third failed attempt at starting the game, and lost interest within a week. Most of my initial questions were about making ISK and earning myself a PLEX before my game time came to an end. I was therefore determined to play EVE for “free.” He told me it was a fool’s errand, and that if I tried to do it, I would probably end up burning myself out quick and not enjoying the game. “Not enjoy a free game? That’s dumb. Of course I’ll enjoy it, it’s free!” my cocky inner monologue sounded off. I started researching how to make ISK. I could do market trading, but that required quite a bit of initial investment money that I didn’t have. I could do something called “plexing” in the Factional Warfare systems of New Eden, but PvP was terrifying and my friend’s corp was not signed up for it. Highsec mission running seemed like it would work for starters, while I built my way towards something called Incursions. 100 million ISK an hour. Almost no effort involved. Pickup groups constantly running. Incursions seemed like the obvious answer to my question of how to make this money. I got excited, and I told my friend. He told me that I was right, that it would work, but it wasn’t the best idea. He was very careful to not tell me not to do it—it’s not his way and it’s not the EVE way. New Eden is a Sandbox, you do what you choose. He armed me with the knowledge that incursion groups often used faction battleships which were way outside my price range and ability to fly. Even the ones that would take me in a Tech 1 battleship, would have me in a ship that I really shouldn’t be in. I was disheartened, and I almost believed him. Then I did some more research. Oh, how wrong he was! I could switch my training from missiles to hybrid turrets, and skip on up the skill tree to a Rokh, and I’d be in incursion groups rolling in cash in no time! I was overly eager to get into battleships anyway—he had been doing Level 4 missions in his. He was letting me tag along on his missions, and battleships seemed amazing! Plus they were huge! Bigger ships had to be better anyway—this was the perfect idea! Two days later, I was sitting in a Rokh. It was a quick train from the cruiser I had been in, and I was able to put some guns on it. Now I was ready to do level 4 missions while some of my other skills filled out—then I would be ready for incursions! My friend and I went on a mission together. He brought two ships, two Dominixes, and I brought my Rokh. The first few waves went great, until I came under fire. Suddenly, all of my EVE hopes and dreams started to evaporate before my eyes. The rats were chewing through my shields at an incredible rate, and before I knew it, I was in armor. I quickly aligned my ship to escape. That’s really a lie, because the Rokh is not quick, nothing about it is quick. It was slow, bulky, and could barely turn at all. By the time I warped off the site, my Rokh was on fire, deep in structure and threatening to come apart at the seams. I couldn’t understand how my new battleship had gone so very wrong. When I asked my friend, he gleefully told me about all the fitting and piloting skills I did not have, and what they would all do for me. I have yet to solo a Level 4 mission in a battleship, and I haven’t flown one in the better part of a month. I did get my first PLEX, though! I bought three months of EVE with cold, hard cash, and my buddy gave the recruitment PLEX he had earned to me. Not the glorious path to wealth I envisioned for myself, but hey, it works. I did manage to learn from these shenanigans; my most important lesson yet in my time with EVE. Do not start playing EVE to earn PLEX and play for “free.” Play EVE to have fun. Spend the real money for the first few months, and just enjoy yourself. The ISK will come, and with every new skill, it gets easier easier to earn.